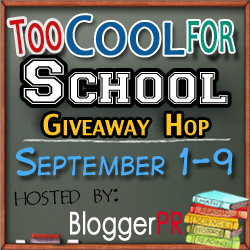 Welcome to the Too Cool For School Giveaway Hop hosted by BloggerPR! Summertime has come to an end, which means it is time to send the children back to school. Parents everywhere are clamoring to restock their school supplies and get all of the requirements on those supplies lists. BloggerPR decided to host a giveaway hop to help everyone win some of those back to school requirements! This event will run from September 1st through 9th, which gives you plenty of time to hop down the linky list below. Each blogger is giving away prizes valued $20 or more, so you don’t want to miss out. Good luck and have a great school year. -Stay hydrated and make a sweet statement with this lightweight and durable water bottle featuring MIKE AND IKE®. Convenient carabiner clips onto backpacks and other gear. -Going back to school has never been sweeter! This MIKE AND IKE® backpack has a convenient water bottle holder on the side and many pouches to store your supplies. Be sure to check out the re-released LemMel and CherriBubb candies! -Toe Juice is a fast drying liquid, which refreshes, soothes, and softens dry cracked feet, in addition to stop itching, burning, and annoying irritations. Toe Juice effectively remedies most skin problems. I used it on my husband's toes and his foot fungus cleared right up! Smells and feels great on the skin. This product gets an A+ from us! 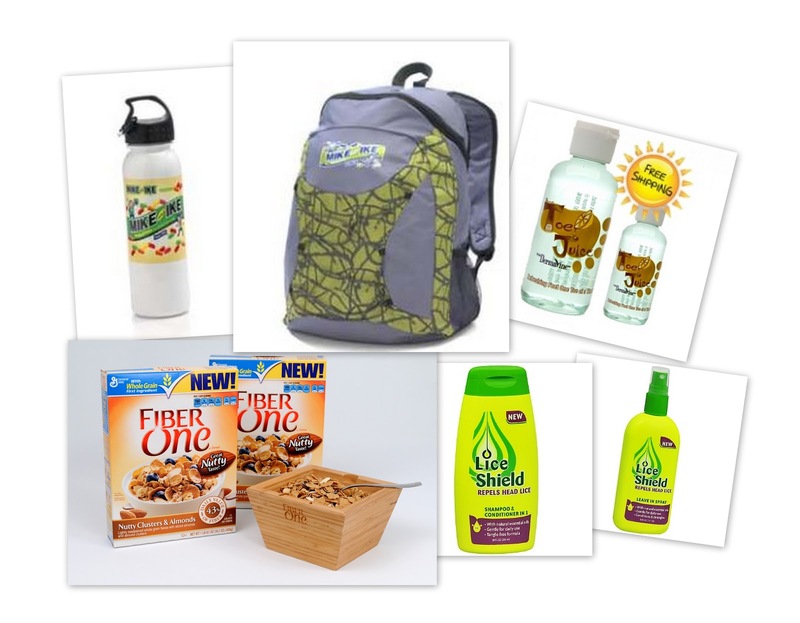 Fiber One gift pack (2 boxes Fiber One & wood nut bowl w/ spoon) Grab a Fiber One coupon! -In a nutshell, Fiber One Nutty Clusters & Almonds is a great-tasting and wholesome breakfast cereal that you can feel good about. -Lice Shield is a line of hair care products formulated with a blend of essential oils scientifically shown to repel head lice. Stop head lice before they even begin.